Investors starved of retail bonds will be cheered by the announcement of an eighth Retail Charity Bond designed to help charitable organisations grow. Retail Charity Bonds are managed by Allia, an independent, not for profit organisation, which is dedicated to helping impact organisations grow; the latest issue is on behalf of Belong Ltd which has the stated objective to ‘support older people to live their own lives through the creation of vibrant village communities’. The Belong Limited Retail Charity bond will pay a fixed rate of 4.5% each year until June 2026. The bonds have a minimum initial subscription amount of £500 and are available in multiples of £100 thereafter; they are available to wholesale and retail investors and investors are permitted to sell them on the open market at any time during the life of the bonds through their stockbroker. The rate will be payable twice a year in June and December - with the first coupon payment being made this December. The bonds are expected to be listed on the Official List of the Financial Conduct Authority and investors are permitted to sell them on the open market at any time during their life through their stockbroker. Authorised outlets are AJ Bell Securities, Equiniti Financial Services, iDealing and Redmayne-Bentley LLP; the offer period is expected to close at 12pm on 13th June, or sooner subject to demand. The bonds are expected to mature on 20th June 2026 with a final legal maturity on 20th June 2028. Retail Charity Bonds connect charitable organisations seeking unsecured loan finance with investors looking for fixed income bonds listed on the London Stock Exchange’s Order book for Retail Bonds (ORB). Formed in 1991 through the transfer of 39 traditional care homes from Cheshire County Council, Belong has developed a unique ‘household model’ for dementia care; funds raised will be loaned, via a loan agreement, to Belong Limited to further its charitable objectives and to develop further Belong villages. 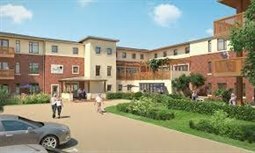 Tracey Stakes, chief executive of Belong, said: ‘Belong villages were established as an alternative to the conventional care model, and led by an individual's needs rather than an institution’s requirements. ‘This pioneering approach to later life care, promoting wellbeing through homely, smaller group living arrangements, coupled with the emphasis placed on integration with the local community, has proved a success. The Belong Limited Retail Charity Bond follows previous issues for Golden Lane Housing, Hightown Housing Association, Charities Aid Foundation, Greensleeves Homes Trust and Dolphin Living. Michael Dyson, of Bondinvest Capital, the specialist consultancy, said he thought the bond reflected decent value, and that its 4.5pc rate was on par with other retail bonds issued in the past. "It's good to see another charity raising capital commercially through the bond market," he said.